Architecturally speaking, a niche is a recess typically found in an interior or exterior wall. These nooks are often used to display heirlooms, sculptures, or other objects that are worthy of special attention. Even on their own, though, niches add variety to otherwise flat surfaces. They can be simple rectangular depressions with clean lines or ornate elements with curves and highly embellished arches. Regardless of their form, tasteful lighting can be used to illuminate niche interiors, drawing focus to the architectural niche and its contents. If you are creating one or more niches as part of a new construction project or restoring existing ones, consider cladding the niche in gorgeous natural stone. With StonePly cladding and wall covering, it’s a lot easier than you might think. Using StonePly cladding to create more continuity: StonePly cladding weighs approximately eight times less than solid stone slabs, allowing for the production of large, thin panels that can be used to cover large walls. Therefore, it’s easy to clad the interiors of niches with the same natural stone found on interior walls. Using StonePly cladding to make niches stand out even more: Create contrast and excitement when you pair a lighted niche lined with granite or marble with a plain white wall or another of our natural stone options. 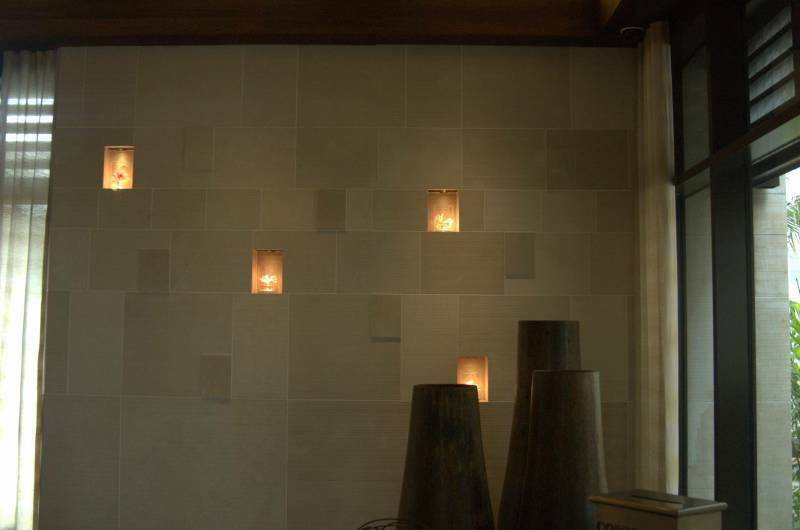 Illuminating your translucent natural stone niche: Niches are often illuminated with lighting placed at the top. With our onyx stone and other translucent choices, back lighting can be added that will make the elegant stone of your niche appear to glow from within. Why Choose Natural Stone Panels by StonePly For Lighted Niches? StonePly is a division of The Stromberg Group, which includes Stromberg Architectural. Stromberg is the largest manufacturer of niches in the world, so you can get your niche and your cladding from the same trusted and highly reputable source. The StonePly website will tell you almost everything you need to know about our lightweight and impressively strong natural stone cladding. Through perusing the pages here, you will find out about our three backing options, our most popular natural stone choices, and why our stone panels are often a better alternative than natural stone slabs for new construction and renovation projects. To discuss your individual design needs with a StonePly representative, contact us to set up a free initial consultation. Our phone number is 903-454-4630. If you prefer, you can complete the brief form on the contact page of our site.